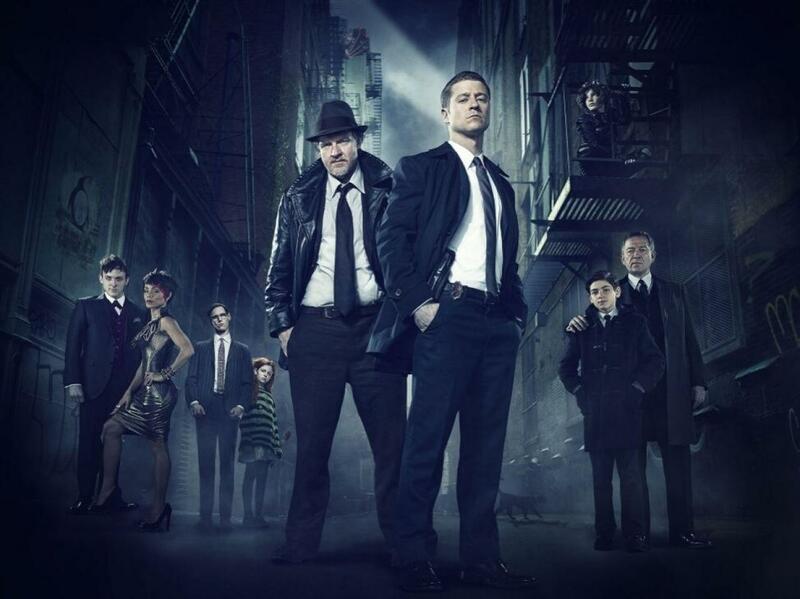 As one of the new comic book inspired TV Shows that makes its debut this fall season and just in time for Batman’s 75th Anniversary this year, “Gotham” just made its long awaited premiere on the FOX network, and it basically addresses the “origin story” of the town that will breed crime and corruption, as well as the few people who stand to make a difference for the sake of justice. The series will focus on a young Detective James Gordon, who partners up with Harvey Bullock to investigate the murder of Thomas and Martha Wayne. His journey will eventually lead to confrontations with future villains who have yet to rise up in the rank of the underworld, as well as striking a friendship with a young and newly orphaned Bruce Wayne, who will eventually grow up to become one of the greatest heroes the world has ever known. Being one of the latest interpretations of a story that happens years before Batman’s emergence, there are several comic book stories and graphic novels that have likely been used as inspirations for Gotham, as well as possible references that were seen in the pilot episode that serve as a nod to things that came before… And have likely inspired the adaptation of this series and what’s to come with future episodes ahead. 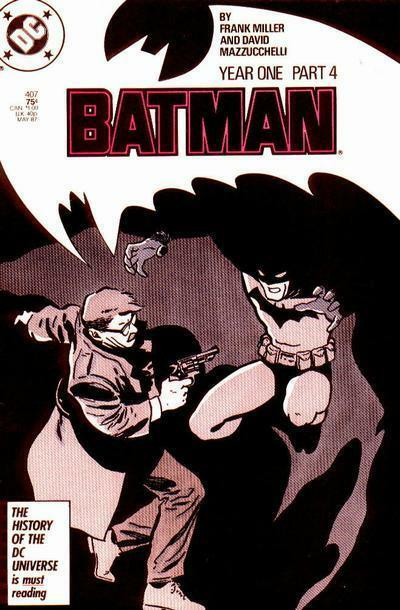 Undoubtedly one of the most highly acclaimed and seminal Batman storylines ever published in the character’s long and decorated history in comic books, Batman: Year One was written by Sin City scribe Frank Miller following his successful masterpiece that was Batman: The Dark Knight Returns. 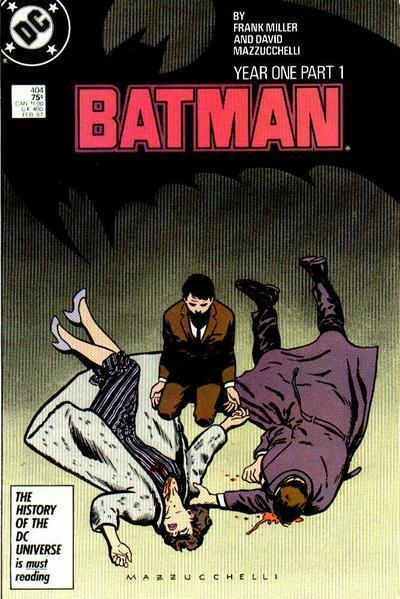 With artwork done by the talented David Mazzucchelli, the four-issue arc spanning Batman #404-408 focused not so much on Bruce Wayne’s return to Gotham and journey to become The Caped Crusader, but also that of a young James Gordon, who moves into the city with his pregnant wife Barbara to begin a new life as a member of the Gotham City Police Department. To say that Year One is a absolute must read is an understatement. 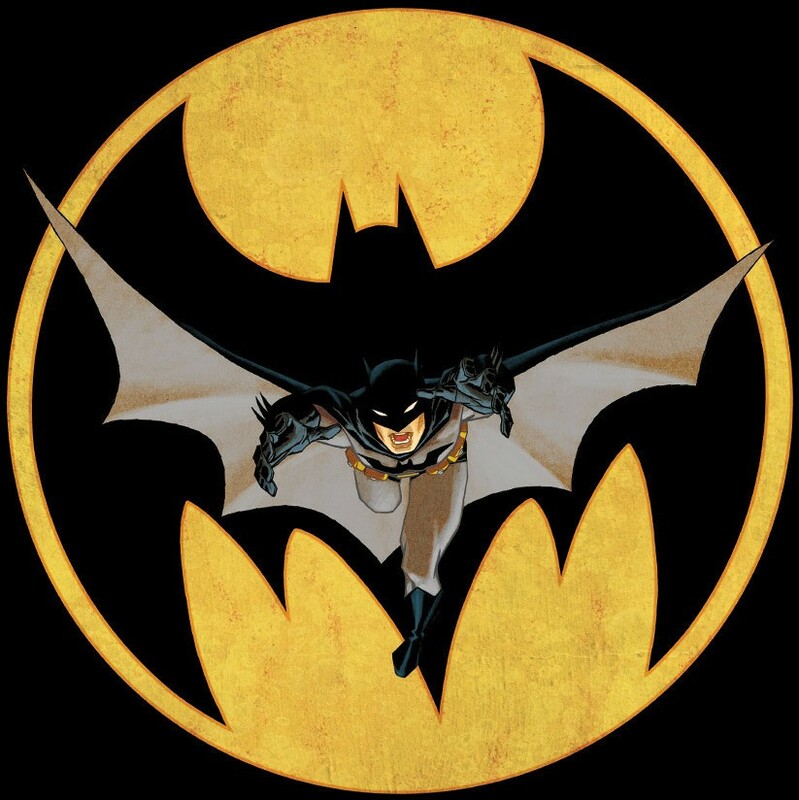 It soiled THE BATMAN ORIGIN STORY for the Bronze Age of comics, and redefined The Dark Knight for a generation that took him back to the brooding and dark roots that the character is best remembered for. Also, Jim Gordon’s role and determination to fight crime “by the book” isn’t completely in line with Batman’s methods, and we see how these two very different men come together and work for the same goals slowly but sure. They both have t deal with the corruption that the GCPD is clearly infested with, as well as the rise of Selina Kyle as Catwoman and the influence and power mob boss Carmine “The Roman” Falcone has on the city. The story also inspired the future Batman movies of Hollywood, most especially Christopher Nolan’s epic Batman films that is collectively known as “The Dark Knight Trilogy“. One interesting thing I should point out is that Warner Bros. and DC Entertainment’s DC Universe Animated Original Movie adaptation of Batman: Year One had Breaking Bad star Bryan Cranston voicing Jim Gordon… While Ben McKenzie, THE live action Detective Gordon of the new “Gotham” TV Series, voiced Batman/ Bruce Wayne in the animated movie! Talk about twist of fate and a pretty ironic way to come back into the Batman legacy. Literally a direct follow-up to the events of Batman: Year One and further establishing the insane world of crime and corruption Batman and his allies must battle in order to save Gotham, The Long Halloween was written by Jeph Loeb and illustrated by Tim Sale, and follows the story of how the once and powerful mob criminals led by the likes of Carmine Falcone have slowly dwindled because of the rise of supervillains. A mysterious and deadly killer known as “Holiday” starts stalking and killing members of the mob. Batman and Jim Gordon forge an alliance with new District Attorney Harvey Dent to find the killer and put an end to crime. Unfortunately Falcone tries to fight back by acquiring the services of the “freakish” villains like The Riddler, Poison Ivy, and even The Joker. Eventually, Harvey is turned into the sinister and duality obsessed Two-Face, further putting a strain in the mission and lives Batman and Gordon have dedicated themselves into. 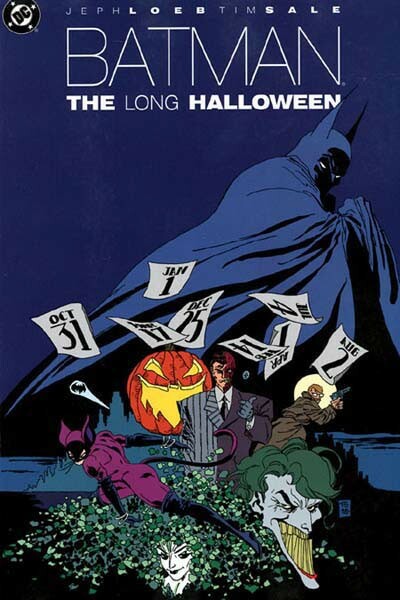 The Long Halloween serves as a good read for those who want to explore beyond the origins Gotham will explore and see what leads to the current status the city is in after Batman’s emergence and influence starts a trend of “Escalation” that greatly changes things. It’s a book that’s best read AFTER reading Year One, so go with that order if you’re ever curious to find out how things are structured in chronological order. Pretty much the nearest comic book inspiration in terms of what FOX’s Gotham TV series is all about without emphasis on Batman, Gotham Central was a series written by Greg Rucka and Ed Brubaker and illustrated by Michael Larks, where the story followed the police officers in the Gotham City Police Department and how they dealt with criminals and the rising threat of supervillains. 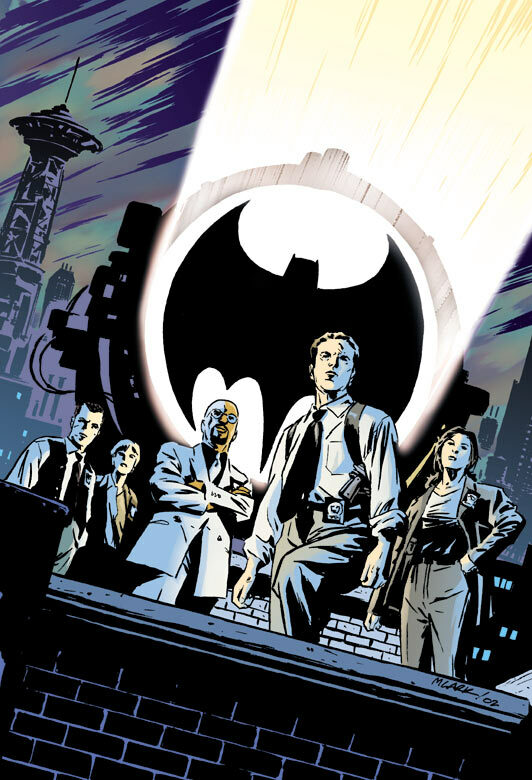 While Commissioner Gordon was still retired during this period in DC History, some of the members of the GCPD worked alongside him and had a fledging allegiance with the Batman, which includes Renee Montoya and Crispus Allen – two characters who appear in the Gotham pilot episode as well. It shouldn’t be a surprise then that this book also serves as an nod to the show, as the perspectives of Gotham’s Finest were the primary focus and not that of The Caped Crusader’s. Told in three acts that ran from Batman Vol. 2 #21-27 and then issues #28-33, Zero Year takes place six years before Batman becomes the urban legend that he is in Gotham City. His early beginnings of fighting crime is and building his legacy as a hero is explored, as he takes on the likes of the Red Hood Gang, Dr. Death, and eventually The Riddler in order to save his city from their sinister plans. Ultimately, the tale also explores Bruce’s relationship with Alfred Pennyworth, Lucius Fox, and Jim Gordon, with the latter being at odds with one another until ultimately they see that they’re fighting for the same side and have to trust one another to get the job done. In many ways, it’s a modern and more upbeat retelling of the Batman/ Gordon dynamic that gets off in the wrong foot, but eventually they see past their differences and become the staunchest allies in pursuing justice for their broken city. Possibly one of the more “realistic” interpretations of Batman and his origin story ever told, Batman: Earth One gives readers the Dark Knight and his world as you’ve never seen them before. 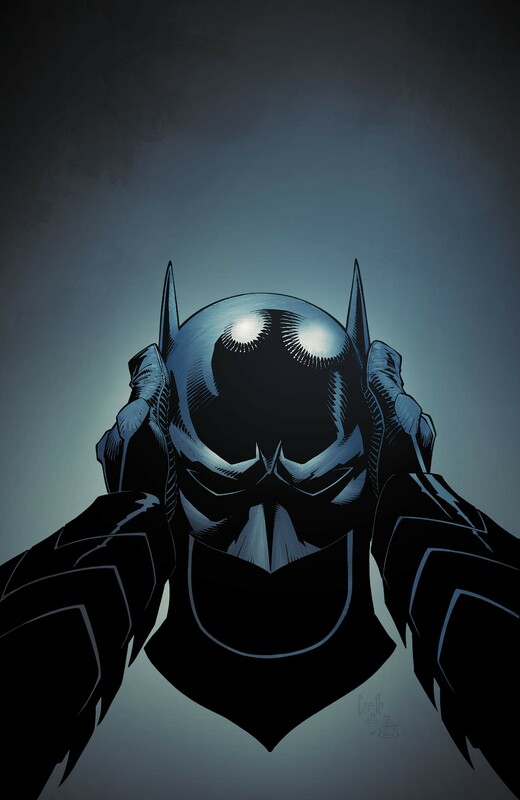 Written by Green Lantern and Justice League’s own Geoff Johns and illustrated by Gary Frank, this tale is the closest to being a direct inspiration for FOX’s “Gotham” series, as it paints an eerie picture of hopelessness and frustration in Gotham City that central characters Bruce Wayne, Alfred Pennworth, James Gordon, and Harvey Bullock feel, as each pursues their own missions and beliefs in maintaining what is order and justice in their priority lists respectively. 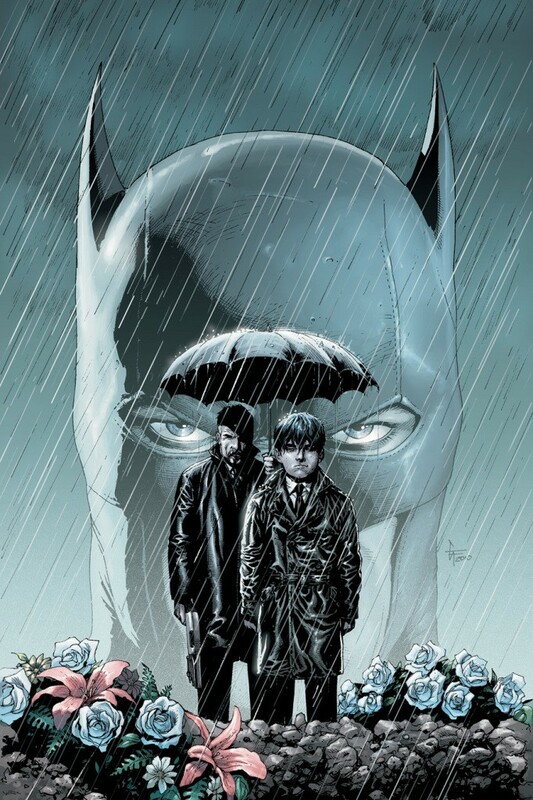 How Bruce Wayne’s childhood is ripped from him by his parent’s murder… That’s explored a little differently here, as the emotion and resolve to become a symbol comes mixed with the bitterness he feels through losing his family. Unlike the mild mannered butler that he is in regular continuity, Alfred is a war veteran who is a friend of Thomas Wayne, and finds himself the unlikely guardian of Bruce after he is orphaned. Gordon on the other hand partners with Bullock, and unlike the TV Series the dynamic is reversed as Harvey is the clean cut rookie who doesn’t know the dirtiness of Gotham until he finds out first hand with the emergence of criminals… As well as the Batman. Also, Oswald Cobblepot, aka The Penguin, is mayor of Gotham City and a grounded corrupt influence than villain that Batman faces in the story, so that speaks volumes for how Earth One retains the sense of realism and corruption ala Nolan’s Dark Knight Trilogy that Fox’s “Gotham” series is aiming for… Well before introducing the insane and powerful supervillains into the mix of things. And there you have some good books to read to prepare or read beyond the saga that FOX, Warner Bros., and DC Entertainment have started anew with the brand new Gotham TV Series. Go and catch the new comic book TV Series in your respective network schedules.